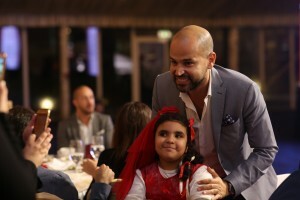 Under the Patronage of His Highness Sheikh Mohammed Bin Maktoum Bin Juma Al Maktoum, Child Early Intervention Medical Center and Child Learning and Enrichment Medical Center, in collaboration with the Emirates Autism Society presented ‘The Listen to the Autism Beat Gala Dinner’ at Atlantis-The Palm on Thursday 6th December 2018, hosted by international MC Enjy Kiwan. 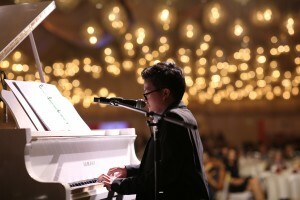 The Event celebrated the achievements of distinguished individuals on the Autism Spectrum, who are doing their utmost to overcome challenges, and organizations who have left an influential mark in raising awareness of Autism and who have positively contributed to empowering individuals with Autism and integrating them into society. In his opening speech, HH Sheikh Mohammed Bin Maktoum Bin Juma Al Maktoum expressed his appreciation for the efforts exerted by Dr. Hibah Shata and Child Early Intervention Medical Center in spreading awareness. He further expressed his pride in the efforts of the UAE government, its wise leadership, and the interest of His Highness Sheikh Khalifa bin Zayed Al Nahyan, President of the UAE on the vision for the UAE to be an inclusive society to ensure that children with determination obtain all their rights in this beloved country creating a better future for them. 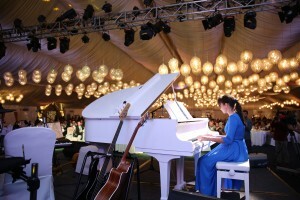 The Listen to the Autism Beat event included musical performances from talented children with Autism, including a piano performance by Sarah Qutob, a Drum Circle performed by the students of Maharat Learning Academy with Dubai Drums, and an orchestral performance presented by the Rolmatic Orchestra. The evening ended with a special performance by the Artist Abu, who came all the way from Cairo for the event, and who is advocate for the cause. 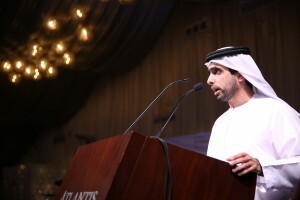 Throughout the evening, individuals and organizations who have positively contributed to Autism Awareness were honored and presented awards, including; Government entities such as; Dubai Health Authority, Dubai Municipality, Knowledge and Human Development Authority, Community Development Authority, The Kingdom of Saudi Arabia Consulate and Dubai Healthcare City Authority . Corporates include; Coca Cola, Emirates NBD, Al Marai, IMG Worlds, Emirates Refreshments, Unikai, Careem.